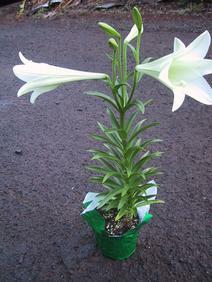 Description: Easter Lily is grown from a bulb. Beautiful creamy-white trumpet flowers. Usually 5-7 large flowers per stem. Removing the pollen will preserve the flower longer.